This modern hotel has a quiet central location in the Eixample District, a 10-minute walk from Barcelona’s Passeig de Gràcia. 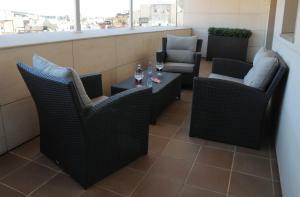 It offers parking, meeting rooms and free Wi-Fi throughout. 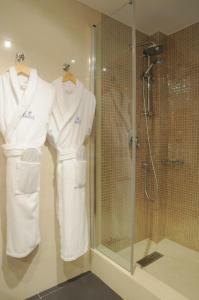 All air-conditioned rooms at the Best Western Premier Hotel Dante have flat-screen satellite TV. There is a minibar, an electronic safe and a work desk, and the private bathroom comes with a hairdryer, bathrobe and amenities. Hospital Clínic Metro Station, 300 metres away, has direct access to Barcelona’s main train station, Sants. Gaudí’s Casa Batlló and La Pedrera are a short walk away on Passeig de Gràcia. The hotel restaurant serves a good range of salads, sandwiches and light meals. There is a bar and room service is available. The hotel has a 24-hour reception and a tour desk. You can hire a car or bicycle, and on-site parking is available for an extra charge. 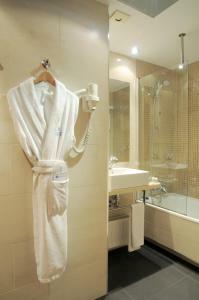 This single room features air conditioning, bathrobe and minibar. Rate: € 102.00 ... € 410.00; select dates below to get current rates. This twin room has a bathrobe, air conditioning and tea/coffee maker. Rate: € 98.76 ... € 377.50; select dates below to get current rates. 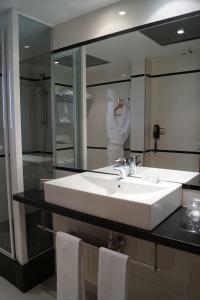 This quadruple room features a minibar, bathrobe and flat-screen TV. 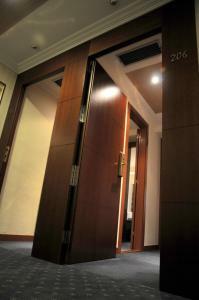 Featuring a terrace with city views, this suite has a separate working area, air conditioning, and a minibar. 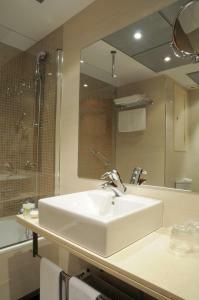 The bathroom comes with free toiletries, bath or shower, and bathrobe. This spacious suite features a furnished terrace, air conditioning, and a flat-screen TV. 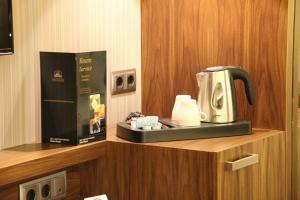 A minibar is also available. 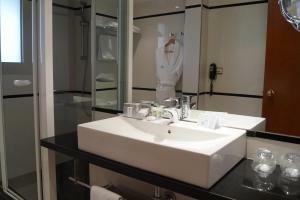 The bathroom comes with free toiletries, bathrobe and a hot tub.